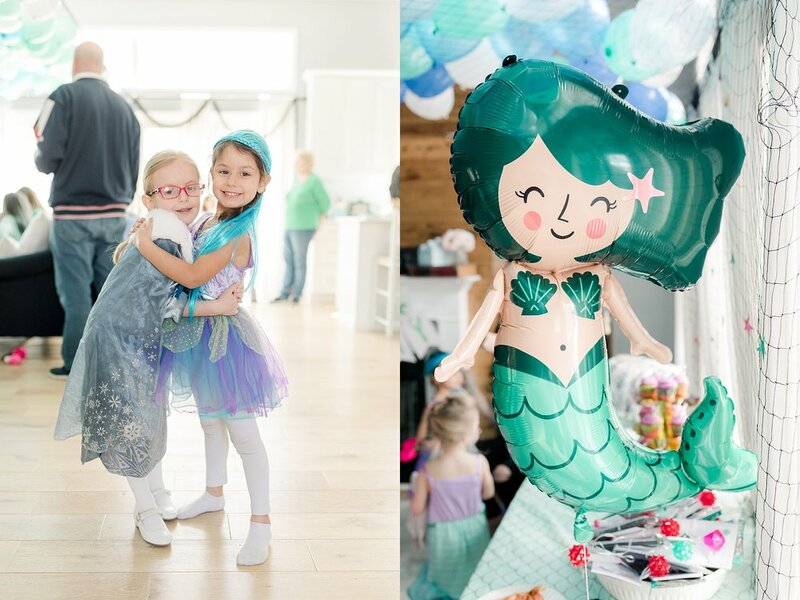 This past weekend, Willa celebrated her fifth birthday with a Disney-inspired “Under the Sea” birthday party! 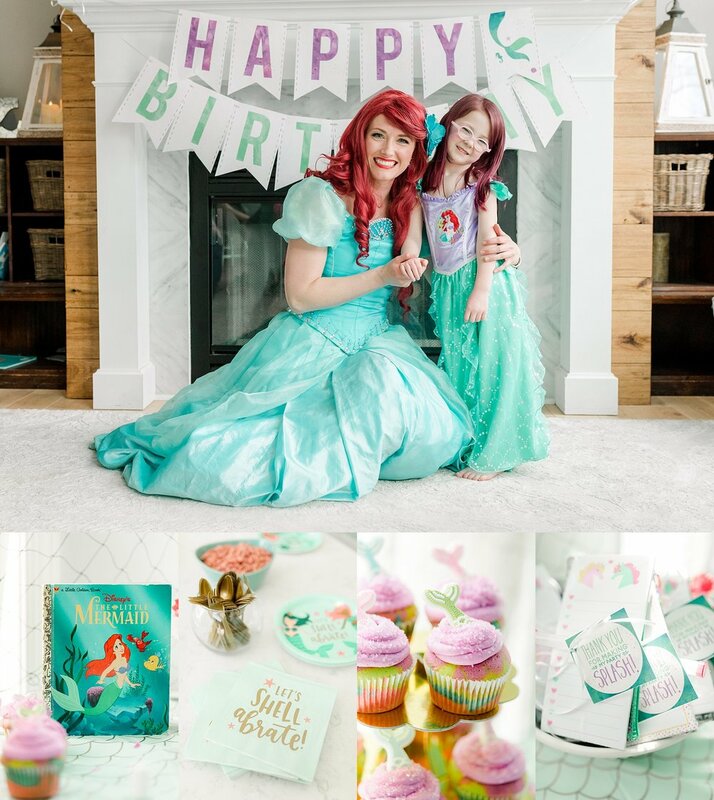 I was so excited be invited to a Lehigh Valley birthday party inspired by Disney’s princess Ariel! Upon entering, guests were greeted with an enormous fishnet installation, full of balloons which had laser lights sparking throughout. 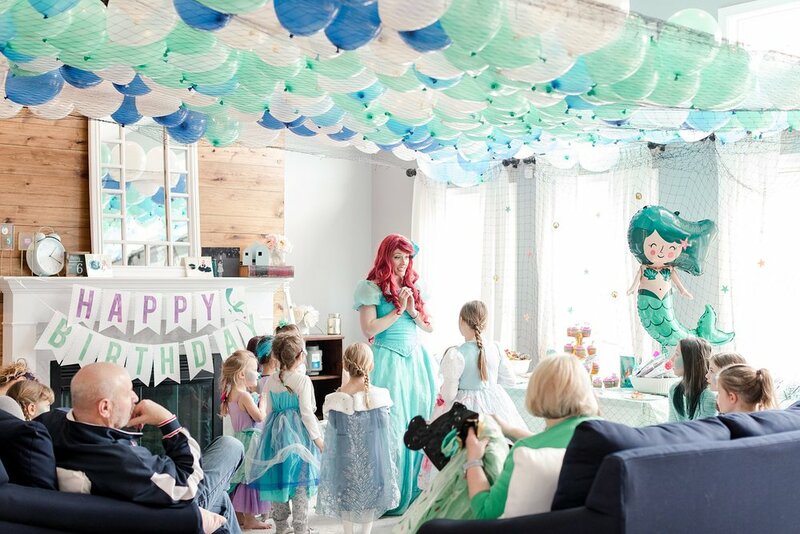 The installation gave the illusion of being under water—it was perfect for her under the sea theme! You should have seen the looks on their faces when they walked into the party. The pure joy and amazement made the room feel alive with energy! 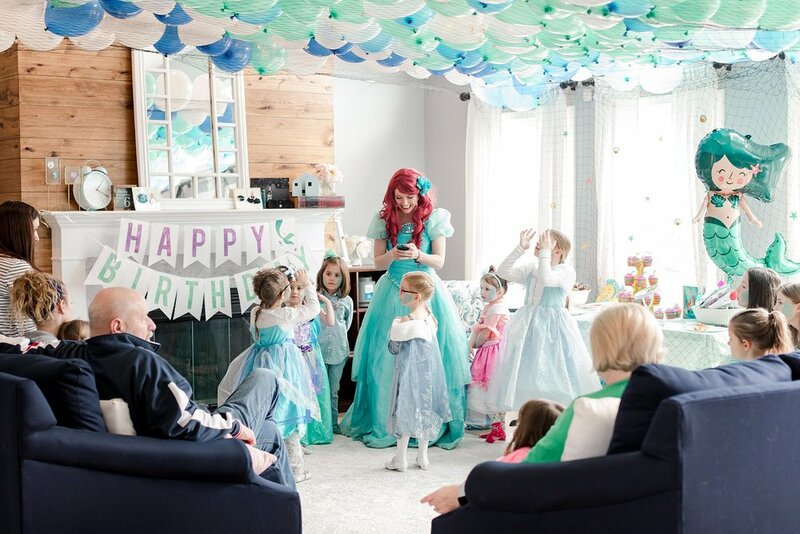 The girls began the party by changing into their princess attire, then enjoyed some snacks (which of course included goldfish crackers to go with the undersea theme) and pizza. 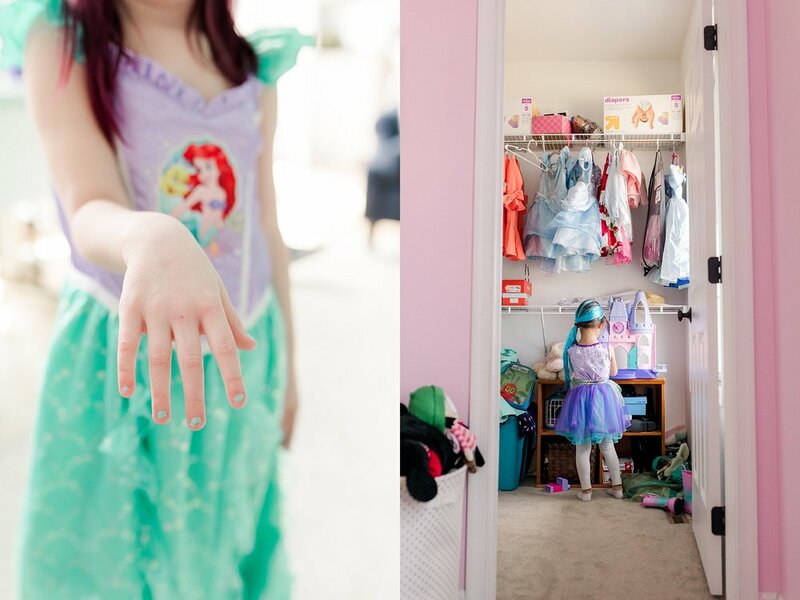 Soon afterwards, the girls were treated to manicures and face painting. It was so fun to see all of them patiently waiting for their turns! 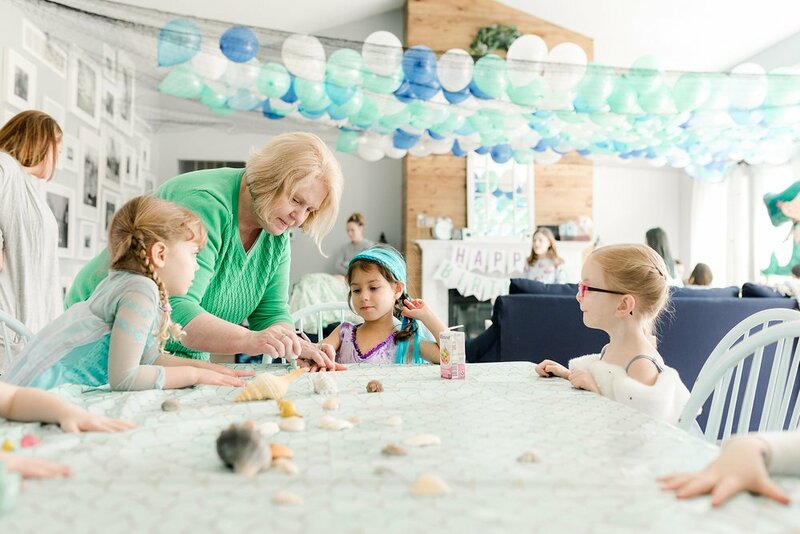 All of the little ladies got aqua colored nails to match their newly painted fish scale cheeks—everyone looked adorable and oh, so happy! After their spa treatments, the girls played games and danced just before a special guest visitor arrived! 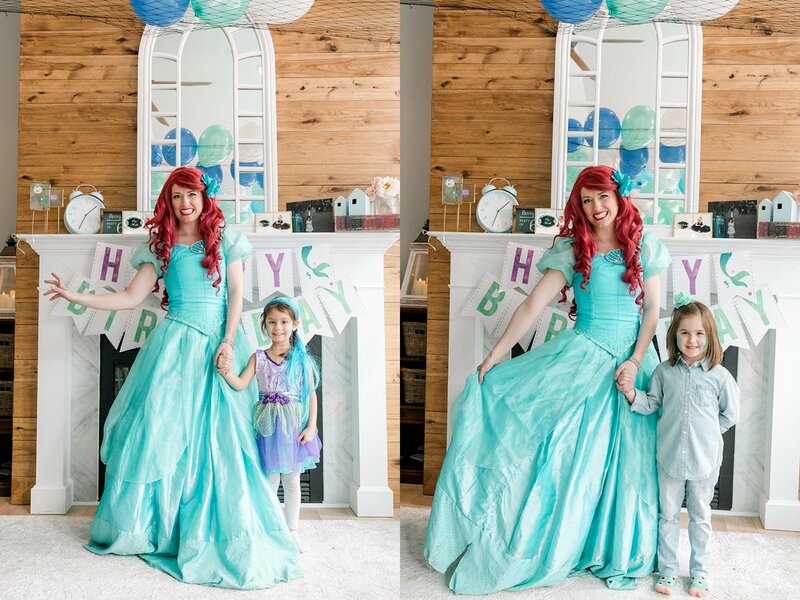 The girls were in absolute awe when ARIEL from Disney’s The Little Mermaid arrived from A Storybook Party to join the birthday fun! 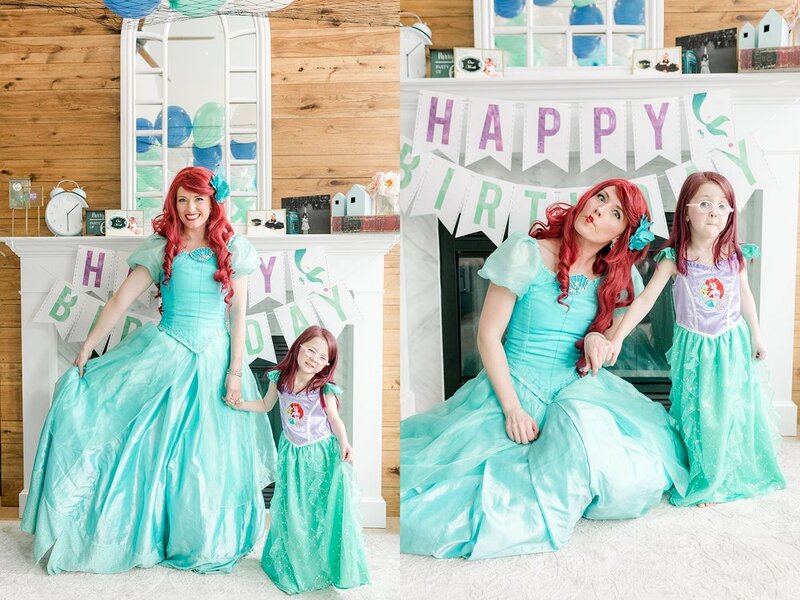 (Ariel is my favorite Disney princess so I was totally freaking out inside—ha!) 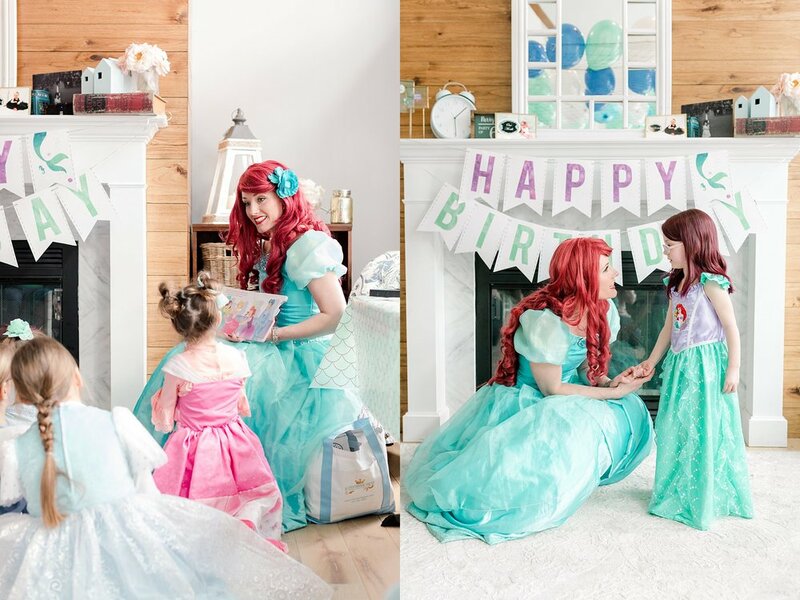 Ariel read a story, sang and danced with everyone, then each little lady got her portrait taken with Ariel. 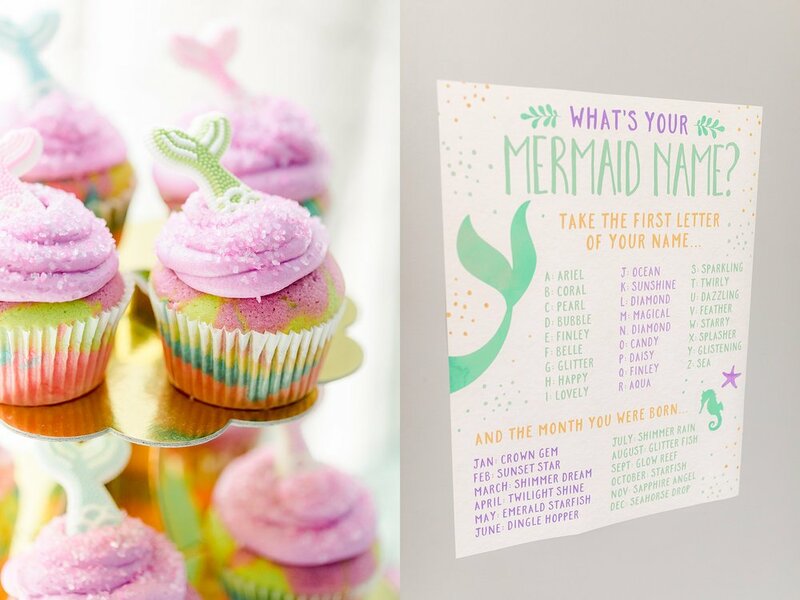 The party concluded with rainbow mermaid cupcakes, gift opening, and adorable under the sea party favors for each of the guests. 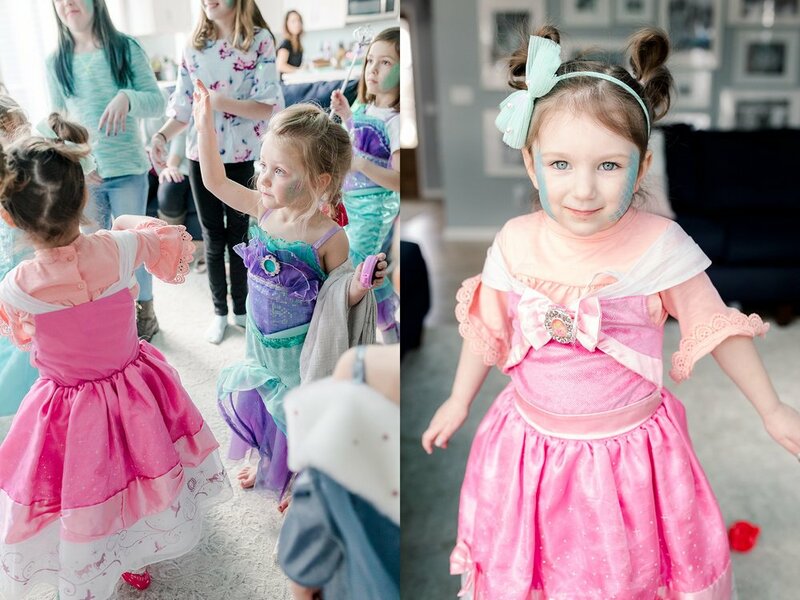 It was such a special celebration for Willa and her friends and I am so thankful I was there to capture these special moments for them. 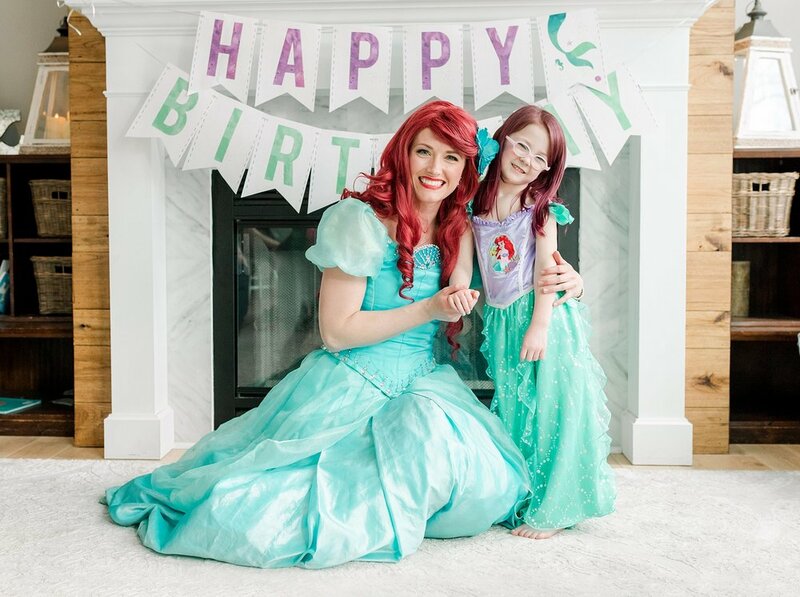 I hope you just LOVE viewing these special memories from Willa’s Lehigh Valley party inspired by Disney’s princess Ariel!